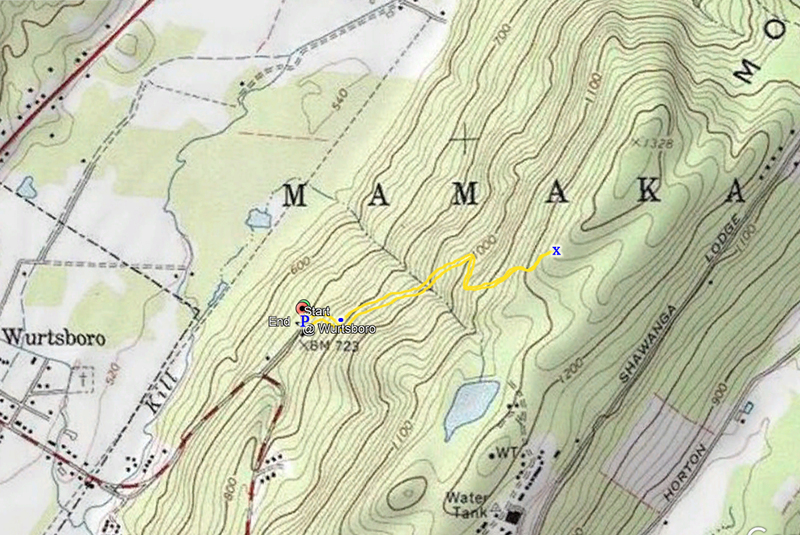 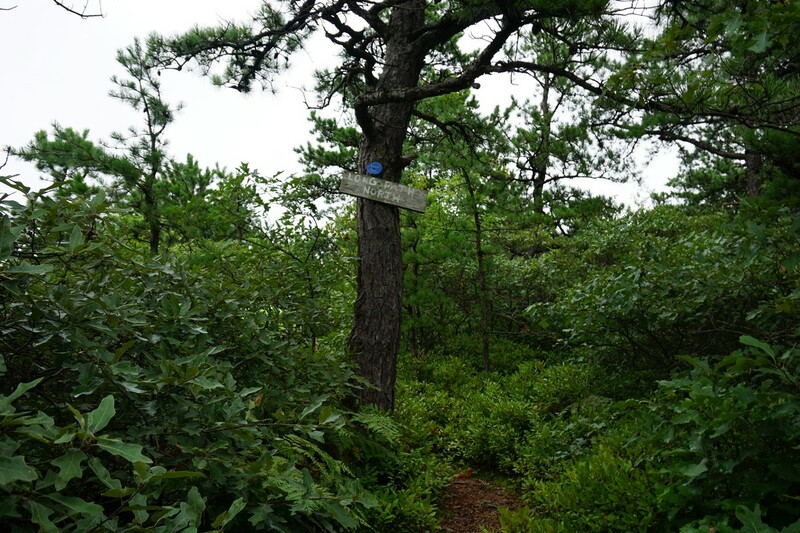 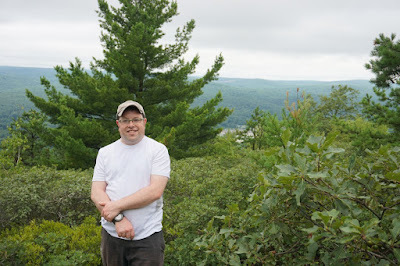 We were traveling to Monticello for a family event, and left a bit earlier to do this short hike on the way. 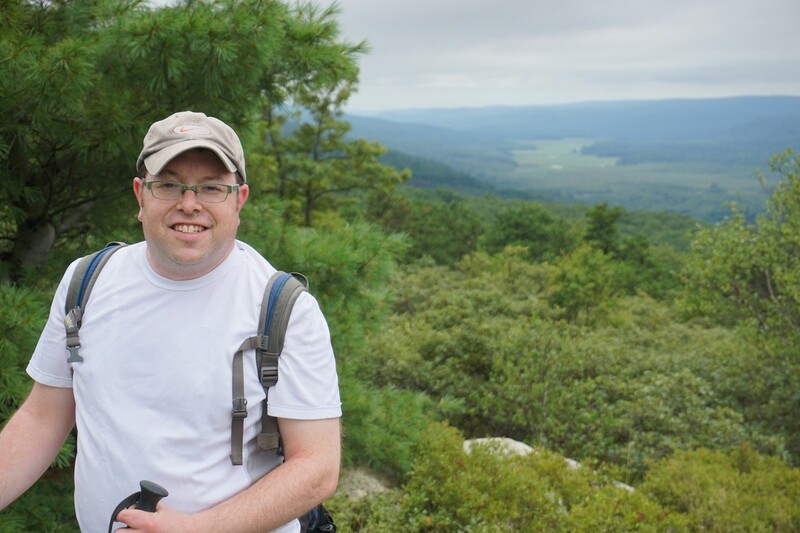 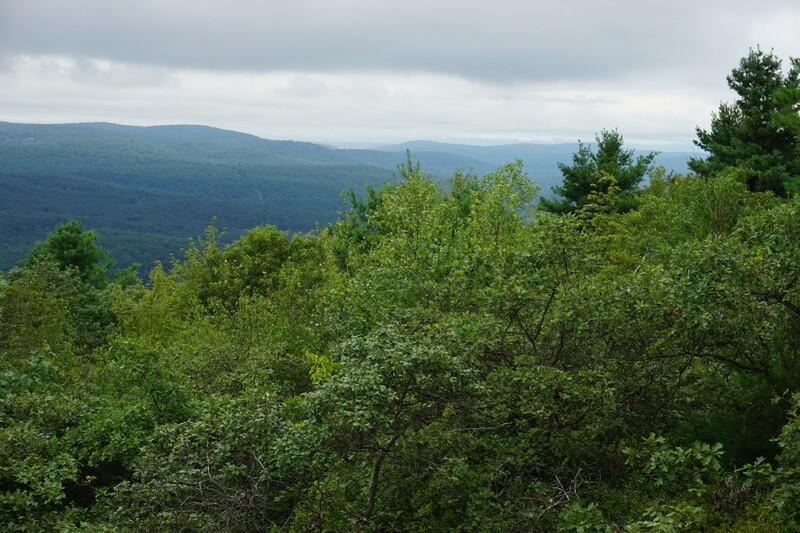 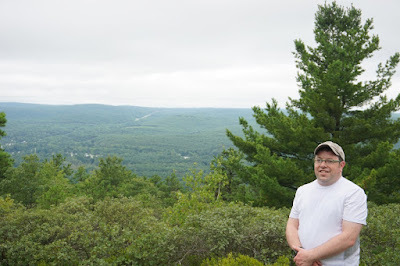 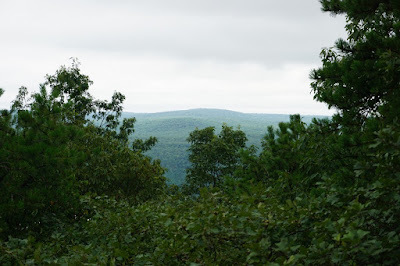 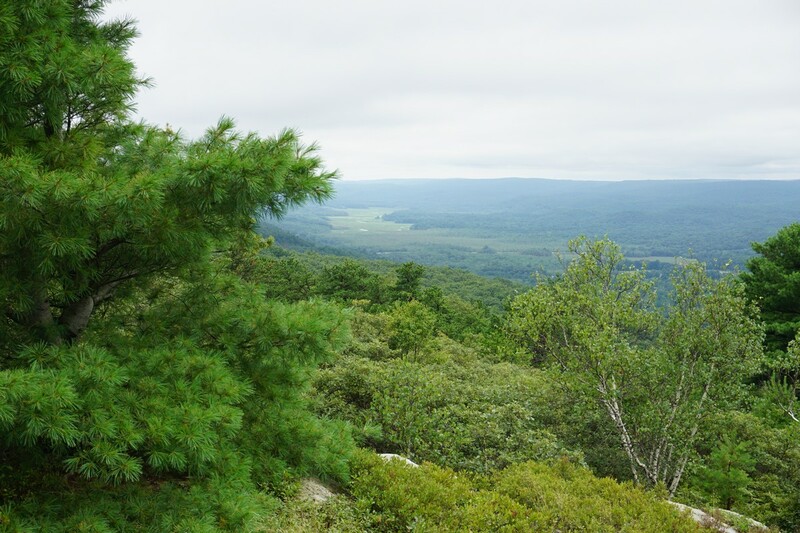 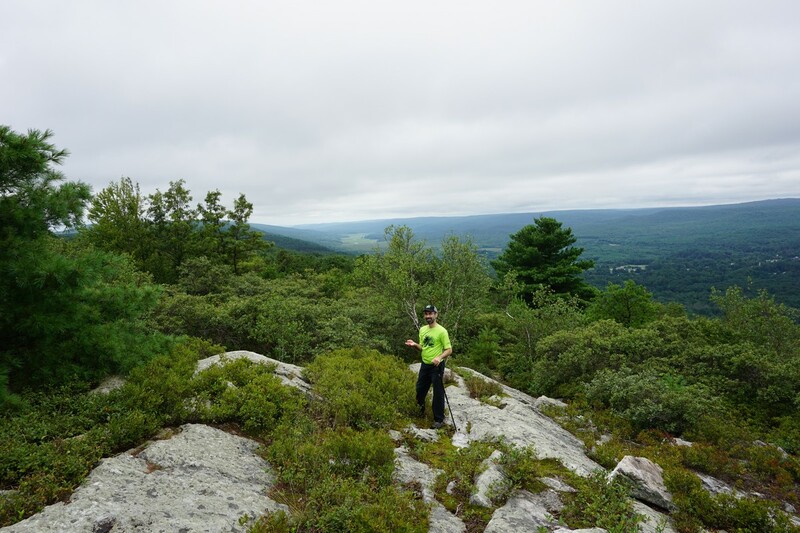 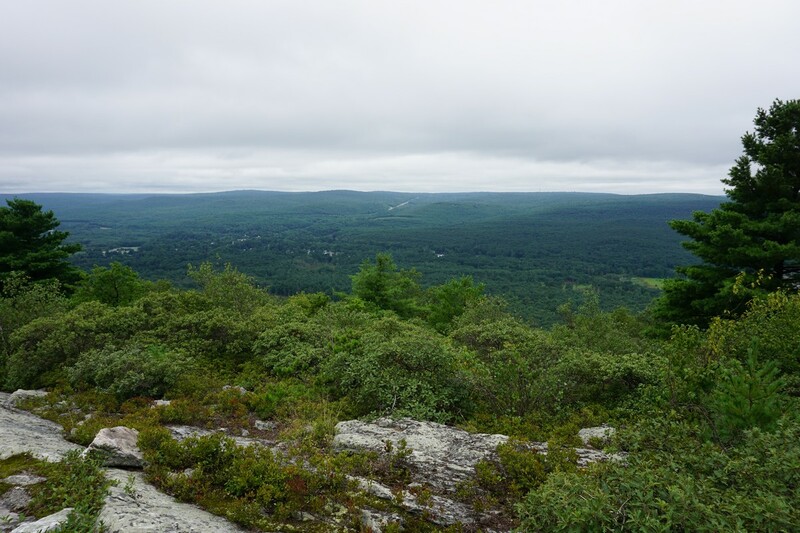 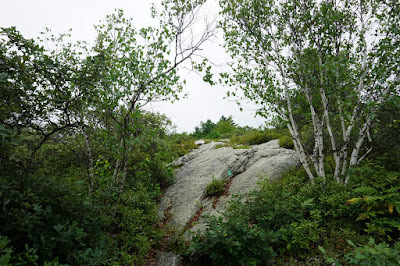 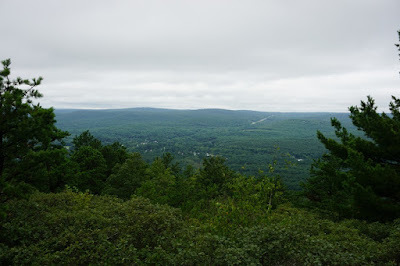 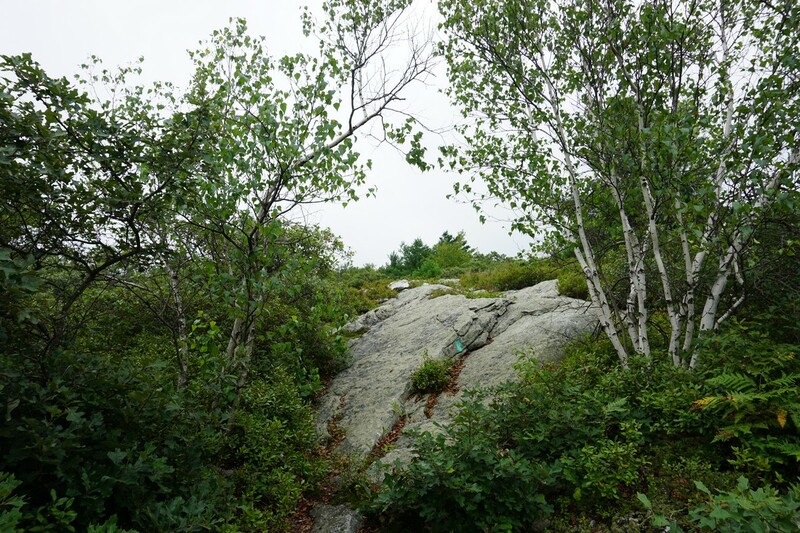 The area is in the lower part of the Shawangunk Mountains, and while the scenery isn't as dramatic as the Minnewaska area, there are still nice views and rock formations. We parked at the VFW Post off Old Route 17 after exit 114 on Route 17, on the descent towards Wurtsboro. 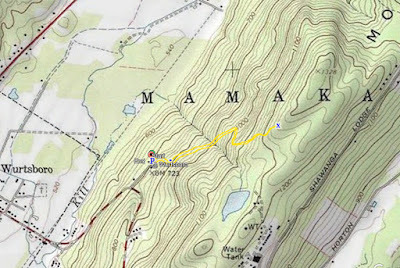 We parked in the VFW Parking area and took the very short Connector Trail to the Long Path/Shawangunk Ridge Trail combination. 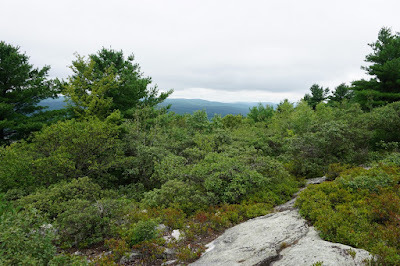 We climbed up the ridge to the first view, where we took a short break, and then headed back down the same route.